Stress is unavoidably unavoidable. Even the most Zen yogis experience stress in their lives, and for everyday people, stress is something with which we have to learn to live. Just because we can’t always escape stressful situations or stressful times doesn’t mean there isn’t anything we can do to manage stress when it comes. We sat down with Dr. Di Thompson, medical director of behavioral health and integrative services at Penrose-St. Francis and South State Operations in Colorado Springs, Colo., to talk about stress and what we can do to manage it. Everyone experiences stress differently, and stress can present itself in a number of different ways for different people. But, by definition, stress is a state of mental or emotional strain resulting from adverse or demanding circumstances. Simply put, stress is our body’s reaction to something that’s happened. We often correlate stress with bad or negative experiences or events in our lives. But, did you know stress can also happen during fun events, too? We experience stress when we ride a roller coaster, enter into a new relationship, start a new job and numerous other experiences throughout our lives; and this stress can actually be beneficial and help us function better. The more common form of stress presents as our body’s reaction to something negative or overwhelming in life, and should be paid closer attention to when it comes to coping with it. How can we decrease our stress levels? Little things throughout the day can help significantly lower stress levels when they start to rise. This can include practicing your favorite hobby, exercising, disconnecting with technology or taking some time to practice mindfulness. Even if you only have a couple of minutes each day, writing down three positive affirmations each morning or telling yourself five reasons you’re amazing before going to sleep can improve your overall outlook on a situation. We also live in the real world, and some of our stressors are inescapable. If you’re dealing with a difficult work situation or something you can’t remove yourself from, try and focus on ways to improve your own self-care and not necessarily try to fix the external situation. You’d be surprised how much it helps. How does stress physically impact our lives? Extreme stress can cause people to feel just as bad physically as it does mentally, so it’s equally important to recognize the physical signs of stress. Many of us often feel sick to our stomach when we’re especially stressed – and there’s good reason for it. One of the hormones in our body that affects stress is serotonin, and apart from the brain, our stomach holds the most amount of serotonin in our bodies. When stress increases, so does our serotonin. Other physical symptoms of stress can include headaches, insomnia, gastrointestinal distress, palpitations and even shakiness. So, when is too much stress too much? Stress can be too much to handle when someone is feeling so overwhelmed that it’s beginning to impact his or her daily life. When this happens, identifying where the stress is coming from can help you examine the situation and determine what can be done to make that particular situation less stressful. Sometimes it helps to think about and identify stressors in particular buckets. What is your stress caused by? Family? Money? Work? Loss? Physical? The first step to alleviating stress is identifying it, after which you can figure out how to combat it. When stress becomes too much, simply talking to someone about your situation can go a long way. Whether that’s talking with friends and family or seeking professional help, other people’s insights and perspectives can help you gain perspective on what’s most important in your life. 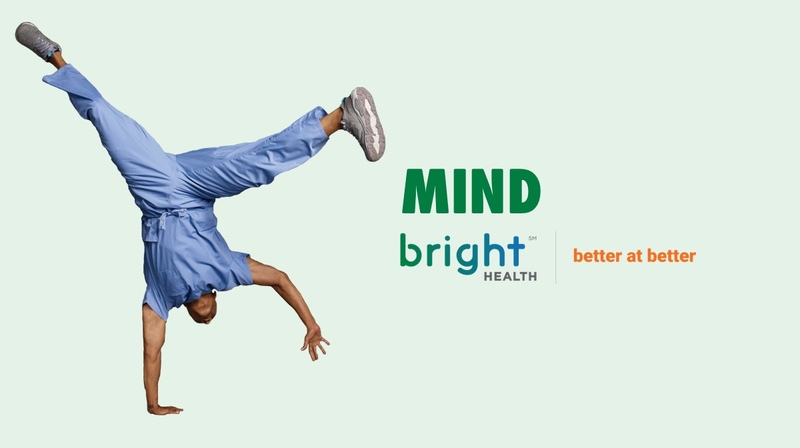 If you’re a Bright Health member and stress is weighing heavy on your mind, visit Provider Finder to find a professional who may be able to help. Dr. Di Thompson is the medical director, behavioral health and integrative services at Penrose-St. Francis and South State Operations. She is a psychiatric oncologist and women’s health specialist. Since completing her residency at the University of Pittsburgh Medical Center, she has specialized in treating cancer patients and women with a focus on midlife and menopause issues. In addition to her role as a psychiatrist, she is a certified a menopause practitioner and hypnotherapist. Prior to moving to Colorado in 2012, she and her husband resided in Honolulu where she was the medical director for Women’s Health and the Program Director for the Cancer Center at Queen’s Medical Center. Her prior positions included medical director of psychiatric oncology at the Winship Cancer Center in Atlanta and medical director of behavioral health for the Pittsburgh Cancer Center and Magee Women’s Hospital in Pittsburgh. She is well published, has spoken at many medical conferences and has appeared on both local and national television discussing topics related to cancer and quality of life. Outside of work, she enjoys running, skiing, hiking and biking.